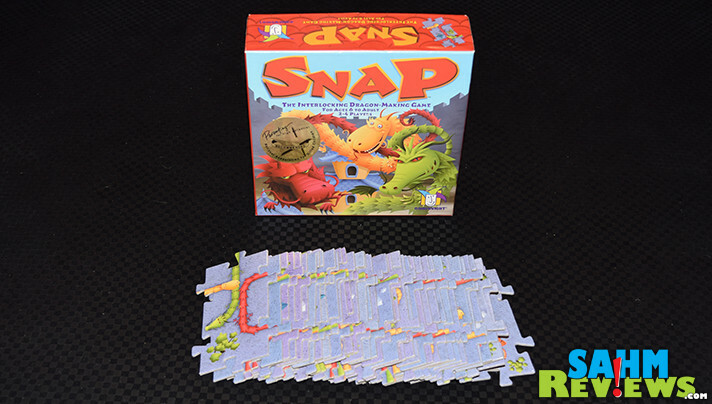 When we spotted this copy of Snap by Gamewright Games at our local Goodwill, our first inclination was to check the recommended age. With only three dozen tiles and a score pad, we were sure it was a rudimentary game targeted towards younger kids. And our suspicions were almost justified when we found the “6 to adult” suggestion on the box lid. What we found out was that there is a lot more to being successful playing Snap than we realized. 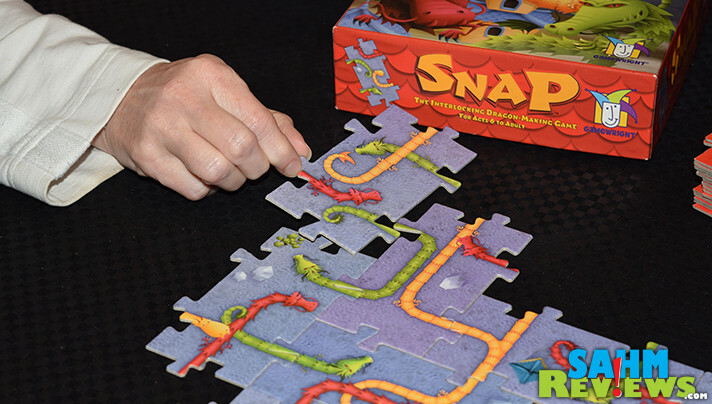 Snap is a game about finding matching interlocking tiles, much like a puzzle. Instead of constructing a picture of a painting or landmark, in Snap you are creating dragons! 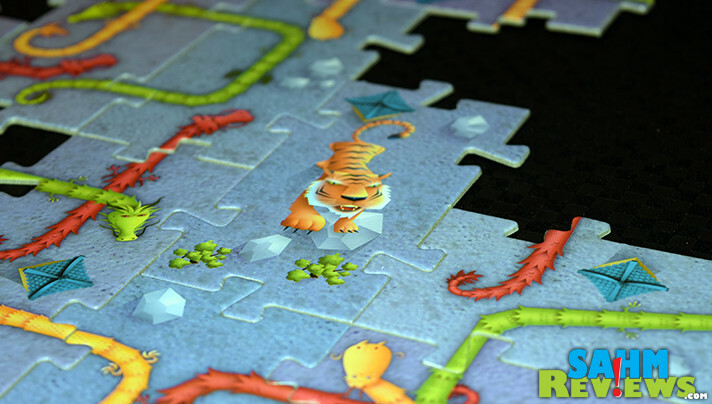 Each of the 36 tiles depicts sections of a long dragon or a lone tiger. More on the tigers in a minute. 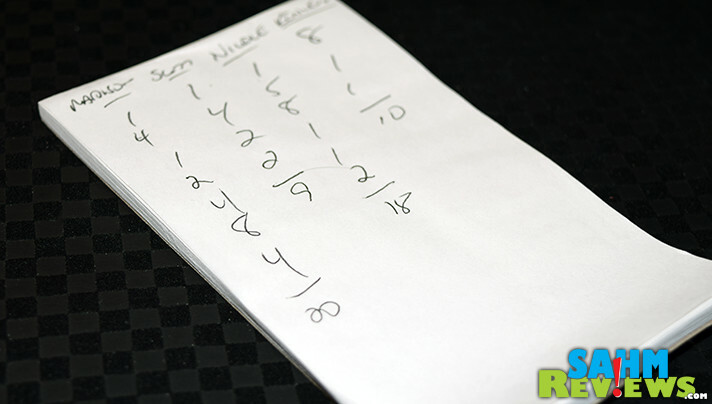 Included in the rules are instructions for four different games to play depending upon the ages of the participants. 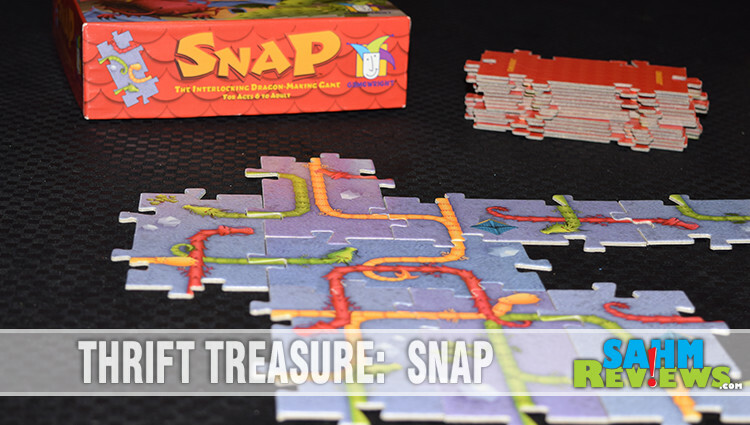 We found the base game, also called “Snap”, to be the most entertaining and would still be appropriate for a wide range of ages. 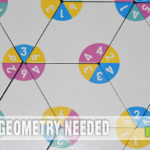 Setting up for a game of Snap is very quick and only requires the shuffling of the tiles and placing them in a face-down stack in reach of all players. 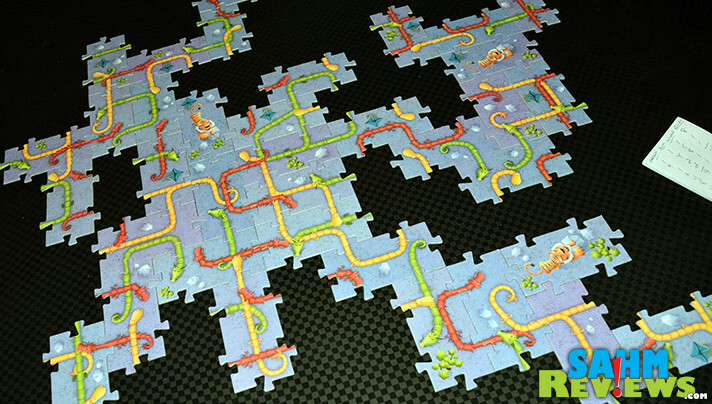 The top tile is turned over to create a starting area and everyone secretly draws three tiles to begin the game. 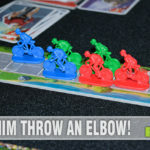 On your turn you will simply choose a tile from your hand of three and snap it into place by connecting it to another tile (or tiles). Tiles must fit snugly and match up color to color. Depicted on the tiles are segments of colored dragons – either a head, tail or middle. Some tiles split the dragon into multiple parts! The only way to score is to complete a dragon and leave no open parts. Scoring a dragon when completed is determined by the number of Snaps needed to create the monster. If only two tiles were used, thus having only one Snap (connection), then you receive one point for your dragon. If utilizing two or more connections, your dragon is now worth two times the number of Snaps! And if you’re lucky, you might even finish off more than one dragon with the placement of your tile! Three of the tiles depict Tigers. These are played in the same manner as a Dragon Tile and must connect to a section that has no dragon segments. 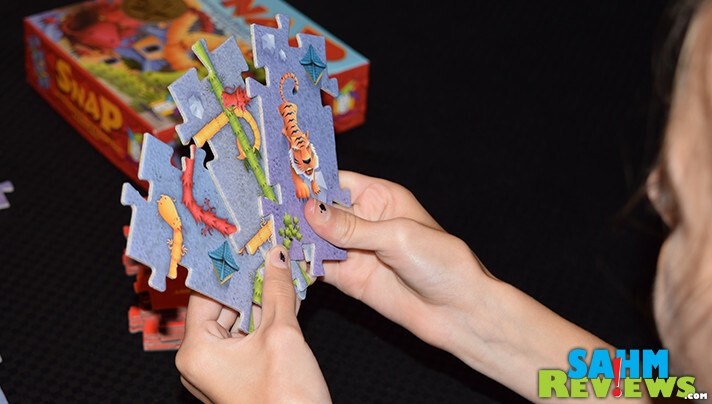 When placed, you will immediately re-score any completed dragon(s) that has at least one piece directly connected to the tiger. If the tiger is already on the board, dragons completed that are next to that tiger score double! A game of Snap continues with players taking turns until all 36 tiles have been played. The person with the highest total wins this round of Snap! Expect a full game to last around 20 minutes as there can be some delay between turns as people search for the most advantageous spot to snap their tile. Still available brand new on Amazon for around 15 bucks, you might also have luck finding a copy at thrift if you’re patient! 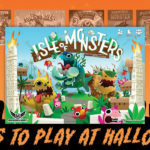 If you think this one might be a little too difficult for your kids, consider Hisss, a very similar game also by the same company. Do you have any other dragon-themed games on your game shelf? It’s amazing how many used games in good condition (with all the pieces) that you can find at Goodwill. Snap looks like a fun game! Snap tile laying games is a great thrift treasure find. I love this so much! I think it’s neat the older games you can find at thrift shops. Snap sounds like such a fun game. I love puzzles and to turn it into a game, that’s just a great idea. Looks like they had fun. I think this looks super fun. I would love to play it! I’m glad it was more challenging than you first suspected. It looks like a fun game. It’s my first to hear of it! Very unique game and one that I have never seen before. It does look like players do really have to think and do some strategizing.